Our desserts are lovingly handcrafted from the finest ingredients. We love supporting our local farmers, and offer seasonal desserts so they are at their peak of freshness. We are passionate about creating fresh, decadent desserts, and seeing our clients smile. Our specialty are cheesecakes and cakes. We have over 50 flavors, and are always creating new flavors. We take our time to bake the highest quality desserts and hand- decorate each creation, so no two are alike. Many of our cakes are infused with liqueurs to enhance their natural flavors, decorated with nuts, candies, fresh fruits and a variety of chocolates. 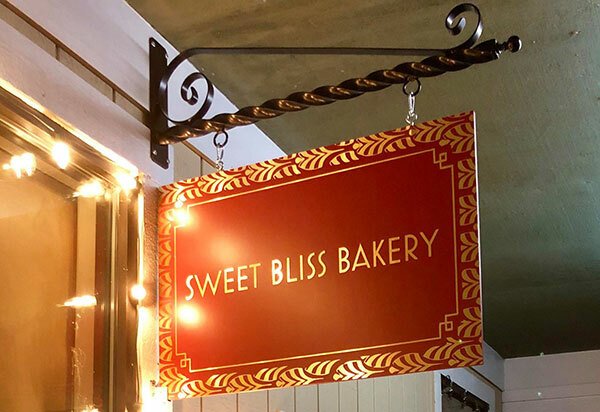 In addition to cheesecakes and cakes, we offer a full-line menu of pastry items such as pies, scones, muffins, cookies, brownies, blondies, cream puffs, eclairs and other scrumptious desserts. Our desserts carry the Virginia’s Finest label to ensure the finest quality possible. They are never frozen, and contain no preservatives, additives or fillers. Offering a homemade soup of the day and a specialty quiche of the day.